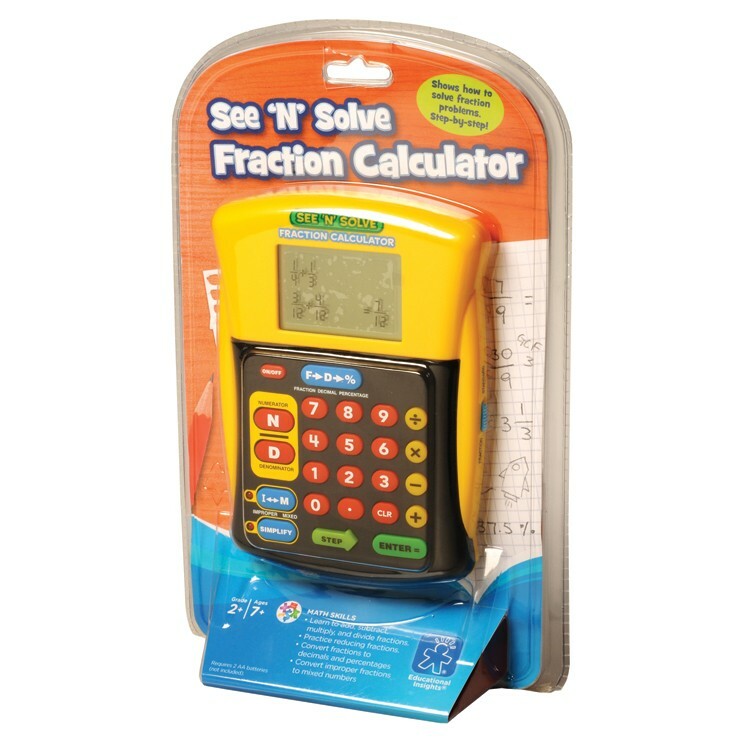 Finish your math homework in fraction of the time solving math problems with the See n Solve Visual Fractions Calculator. This fraction calculator for grade school children is the only calculator that shows the children how to solve a fraction problem. 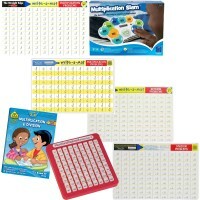 step-by-step. 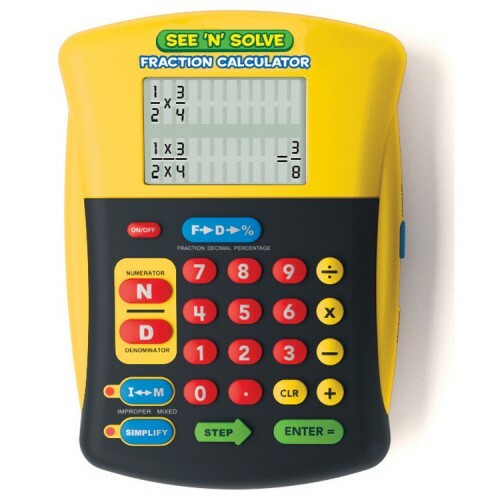 The See n Solve Visual Fractions Calculator by Educational Insights is recommended by teachers for its oversize LCD screen displaying every step of fraction problems. 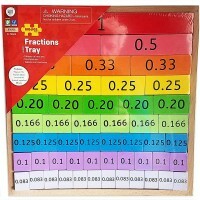 This children fraction calculator shows amounts in mixed number and improper fraction form, and answers in reduced form. Easily input addition, subtraction, multiplication and division equations or convert between fractions, decimals and percents. 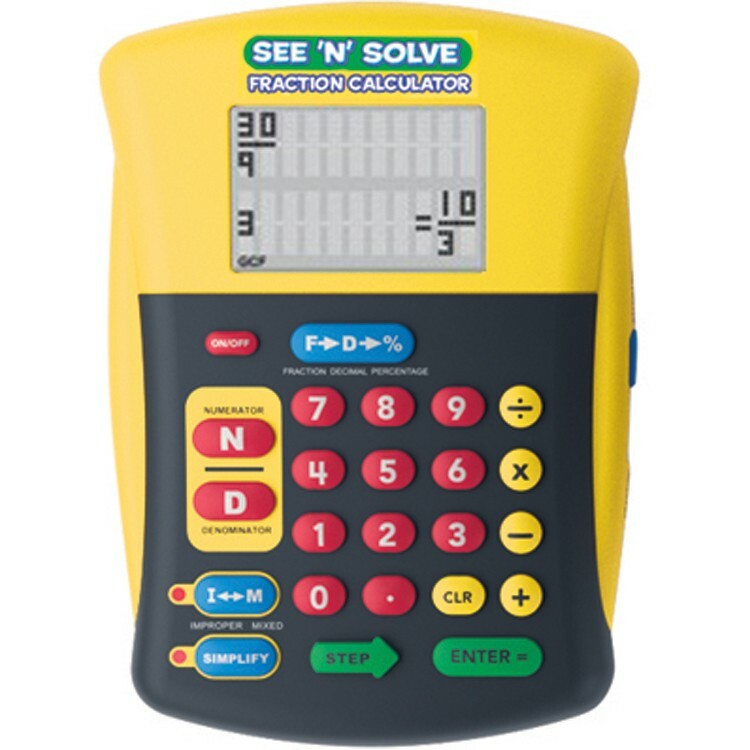 See n Solve Visual Fractions Calculator also features regular calculator mode. 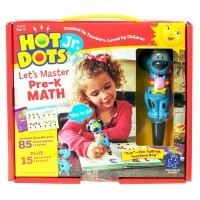 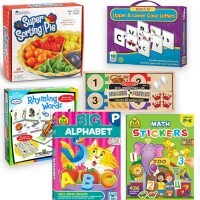 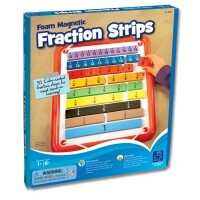 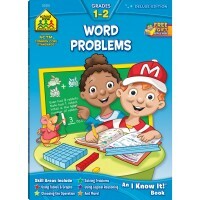 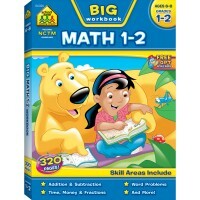 The fractions math activity toy from Educational Toys Planet comes with 12-page activity guide and quick reference stickers. 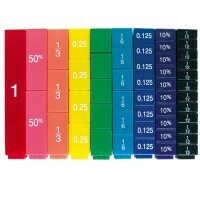 This visual math learning calculator measures about 4.5 x 6.25 inches. 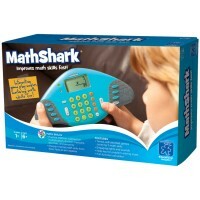 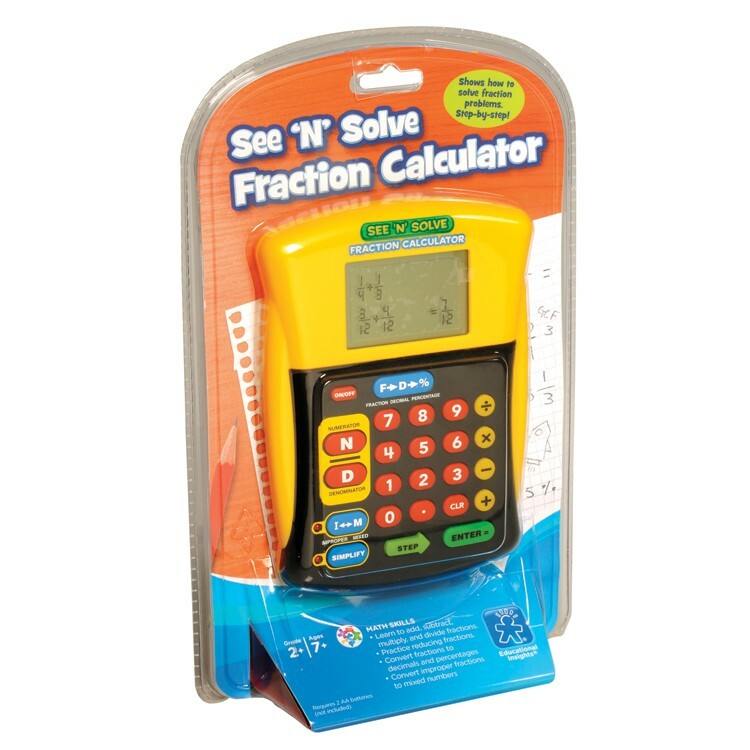 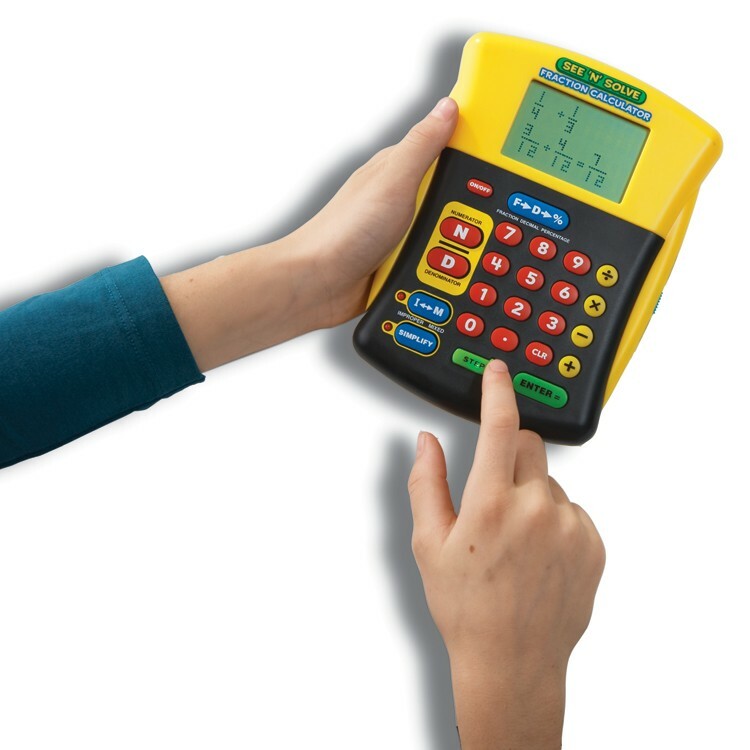 See n Solve Visual Fractions Calculator requires 2 AA batteries (not included). 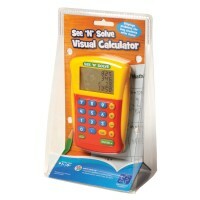 Write your own review of See n Solve Visual Fractions Calculator.